Attention all Public Speakers who want to get paid for speaking, effectively speak to groups, and even overcome stage fright and fear of speaking. If you’re looking to succeed with public speaking then this interview with public speaking expert, Scott Howard, will help you understand how to become highly paid to speak. • What are the skills every public speaker needs? • What tools help to speak in public? • Where do speakers waste their time? • How important is good grammar? • What about umms and ahhs and such? • How imporant are props? Take advantage of this opportunity for Scott to take you by the hand and explain not only how to overcome the fear of speaking but how to prepare and present your speech, and the secrets of getting hired to speak. Most of what you need are instructions and encouragement from someone who has "been there and done that!" Note this book is transcribed from a LIVE interview. 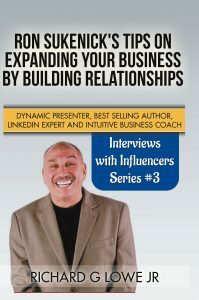 Get this book NOW and claim the public speaking success you want! In the Creative World, Scott Howard is well recognized as a successful graphic designer and illustrator. His first book, the amazing, one-of-a-kind “Artsy Ant Alphabet Art Adventures” increased Scott’s recognition as a creative artist, imaginative storyteller, and influential thought leader, educating and encouraging kids, and ‘Creatively Inspiring’ all ages! A dynamic speaker, Scott has become recognized for entertaining and ‘Creatively Inspiring’ stories, such as "Dare To Be Different,” "Grandpa Raymond,” "Planet Happy” and “Remember What It's Like to be a Kid”, with messages related to the Power of Our Minds, Seize the Day, Being our Most Awesome Selves, Creativity, Creative Thinking, and Public Speaking. Scott often appears as a Children’s Book Author and Speaker at children’s charities and events. His greatest joy is in encouraging confidence in children to follow their passions, achieve their dreams, and to live their best lives. Storytelling with kids of all ages includes imaginative tales such as “The Enchanting Camping Trip,” and Artsy Ant book stories. Question & Answer sessions empower kids to believe in themselves, their careers and guide them toward a more positive future. Born in Claremont New Hampshire, Scott grew up in Rehoboth, Massachusetts. He served as a graphic artist and illustrator with the US Army, received an Associates degree at Monterey Peninsula College, and Bachelor of Arts degree from California State University in Fullerton, California. Scott currently lives in Tampa Bay, Florida. He is a proud, long-time member of Toastmasters and CEOSpace, and enjoys several other business professional networking groups. So as you can see, Scott Howard is uniquely qualified to help you understand everything you need to know about public speaking! 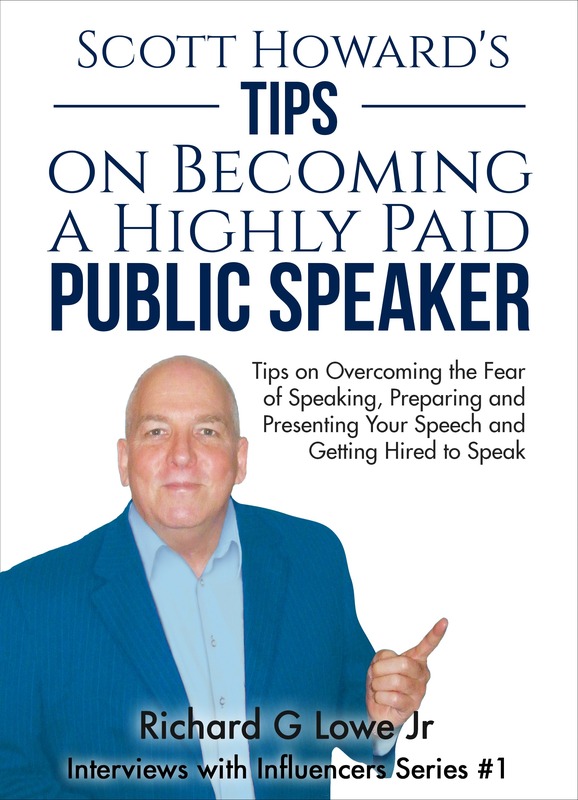 Grab your copy of “Scott Howard's Tips On Becoming A Highly Paid Public Speaker” today!